Chicken tenderloins are simply boneless, skinless chicken breasts that have been butterflied or sliced into smaller portions. They cook quickly and provide just the right portion size for a smaller appetite. The slow cooker works well for cooking chicken tenders, especially on a busy day. The tenders cook within four to five hours and remain juicy and tender. However, slow cookers can dilute flavors, so choose a savory sauce. 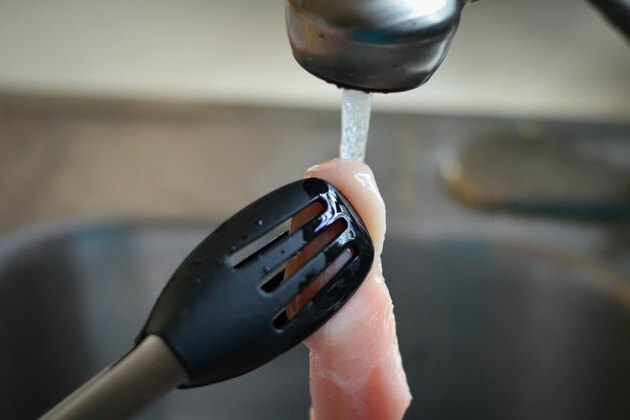 Rinse the chicken tenderloins under running water and pat them dry with a paper towel. Heat 2 tbsp. vegetable oil in a skillet or spray the skillet with cooking spray. 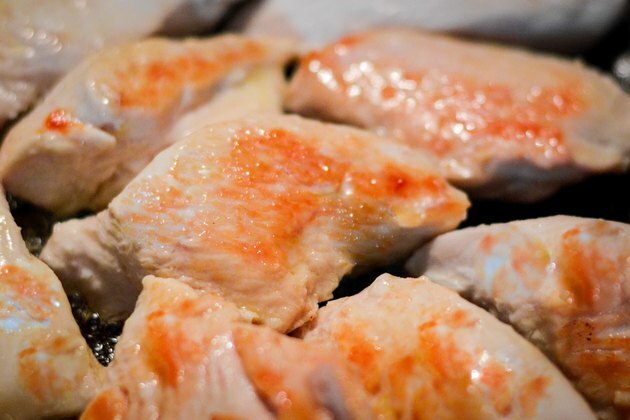 Place the chicken tenderloins in the skillet and cook them for three minutes on each side, or until the chicken is nicely browned but not cooked through. 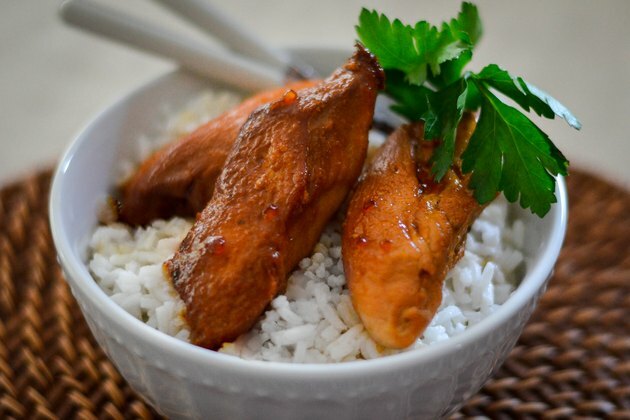 Remove the chicken with a slotted spoon and place it in the slow cooker. Season it liberally with salt and pepper. Cover the chicken with a commercial sauce or make your own. For example, for an Asian-inspired sauce, mix orange juice concentrate, honey, soy sauce, ginger powder, tapioca and garlic in a bowl. 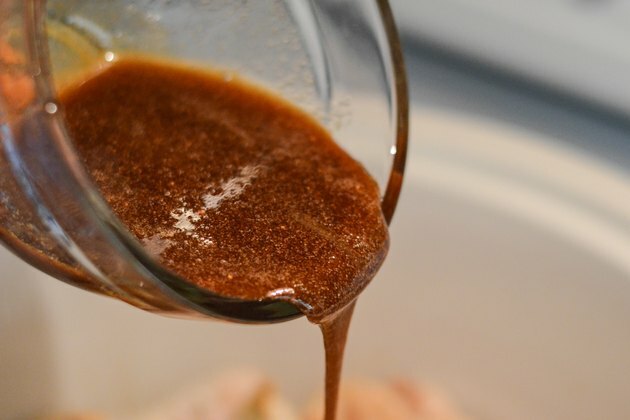 Pour the sauce over the chicken to thoroughly coat it. Cook the chicken on low for four to five hours. Don't overcook it, otherwise it will get tough. Place the chicken in a serving dish and pour the sauce over it. The slow cooker works well for poaching chicken tenders or boneless chicken breasts to shred for casseroles, soups and salads. Simply place the chicken tenders in the slow cooker with 1/2 cup chicken broth, salt liberally, and cook on low for five hours. The chicken tenders will be tender and juicy, without the white foam that sometimes occurs during boiling. Almost any sauce will work for flavoring chicken tenders. Try salsa, marinara sauce, cream sauces or even a wine sauce. To prevent food-borne illnesses, thaw the chicken in the refrigerator before use. Do not put frozen chicken in the slow cooker. Buy chicken tenderloins in bulk on sale and rewrap them in smaller packages or freezer bags. Freeze for up to six months. To prevent food-borne illness, test the internal temperature of your chicken before eating. FoodSafety.gov recommends a temperature of at least 165 degrees F.